The ongoing tumult in financial markets and the global economy began when some of our most esteemed financial institutions, our government, and even average citizens abdicated their collective responsibilities, eventually selling out investors and selling off the American Dream itself. 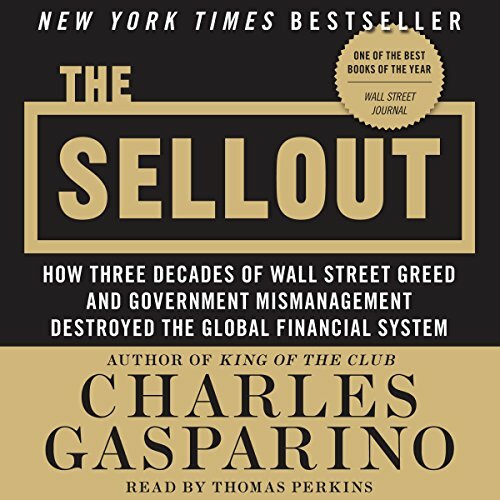 From critically acclaimed investigative journalist and CNBC personality Charles Gasparino comes a sweeping examination of the most volatile, anxiety-ridden era in our nation's socioeconomic history. The winner of the 2009 Investigative Reporters and Editors Award for Books, The Sellout traces the recent implosion of the financial-services business back to its roots in the late 1970s, when Wall Street embraced a new business model predicated on enormous risk. Gasparino reveals a startling trail of culpability - from the government bureaucrats who crafted housing policies to the Wall Street firms that underwrote and invested in risky debt, to the mortgage sellers who indiscriminately handed out loans, and finally to the homeowners who thought they could afford mansions on blue-collar wages. If you have any questions about this product by HarperCollins, contact us by completing and submitting the form below. If you are looking for a specif part number, please include it with your message.